Kazakhstan considers the U.S. one of its most important diplomatic partners and both countries have shared priorities. 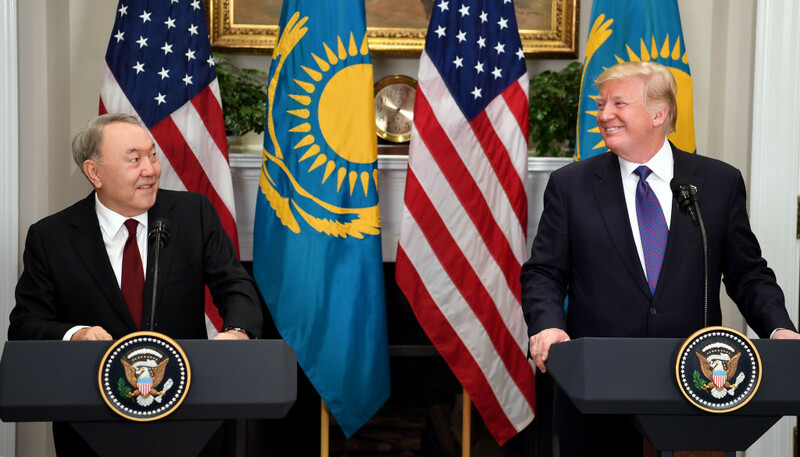 Bilateral cooperation was affirmed by President Donald J. Trump and President of Kazakhstan, Nursultan Nazarbayev, at the White House in January 2018. The two leaders reaffirmed the independence, territorial integrity, and sovereignty of Kazakhstan, as well as its role in advancing global peace and prosperity. Kassym-Jomart Tokayev, who was sworn in as the new President of Kazakhstan on March 20, 2019, pledged foreign policy continuity. The U.S. State Department recognized the leadership of former President Nursultan Nazarbayev, his role as the father of modern Kazakhstan, and affirmed the importance of continuing to strengthen Kazakhstan - U.S. relations with President Tokayev.